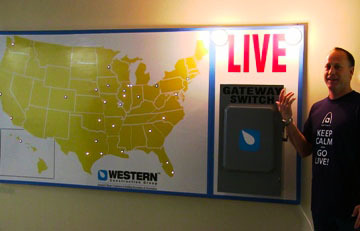 After 2 years of preparation, development, design and training, Western went LIVE with Viewpoint at 9 am this morning! This new software will allow us to link many of our current processes, automate various steps, eliminate several redundancies, and provide us with daily, detailed production and profitability information. Overall, this software should enable all of Western to be more productive and efficient.